Black chalk heightened with white, on greenish paper; 89 x 86 mm. 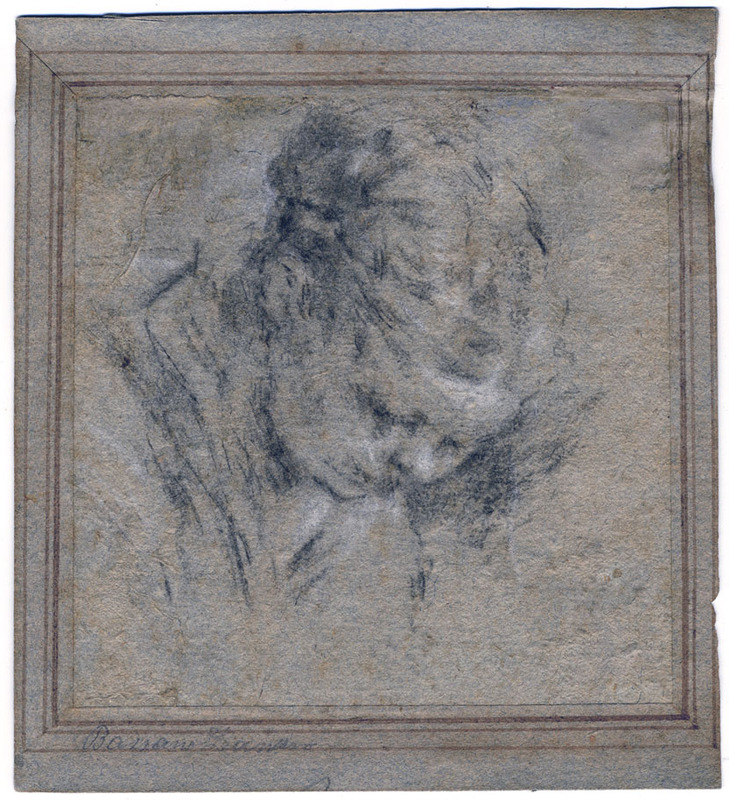 On an old mount, inscribed in pencil by a modern hand Bassano Leandro. PROVENANCE: Gustavo Frizzoni (Bergamo 1840 - Milan 1919). A scholar of renaissance Italian art, Frizzoni was a friend and a disciple of Giovanni Morelli. He edited the final volume of Morelli's collected works and wrote a brief biography of him in 1893. LITERATURE: Francesco Malaguzzi Valeri, I Disegni della R. Pinacoteca di Brera, Milan, 1906; no. 4, illustrated. 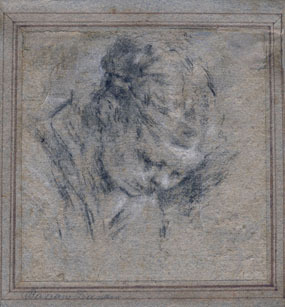 Part of the Frizzoni's collection of old master drawings was on loan at the Brera. Hans Tietze, Erica Tietze-Conrat, The Drawings of the Venetian painters in the 15th and 16th centuries, New York, 1944; no. 170. Here is the Tietzes' comment: We could not trace the present location of this drawing. In the reproduction it looks typical of Jacopo, resembling somewhat a woman's head in Departure for Canaan, ill. Arslan, pl. LII.